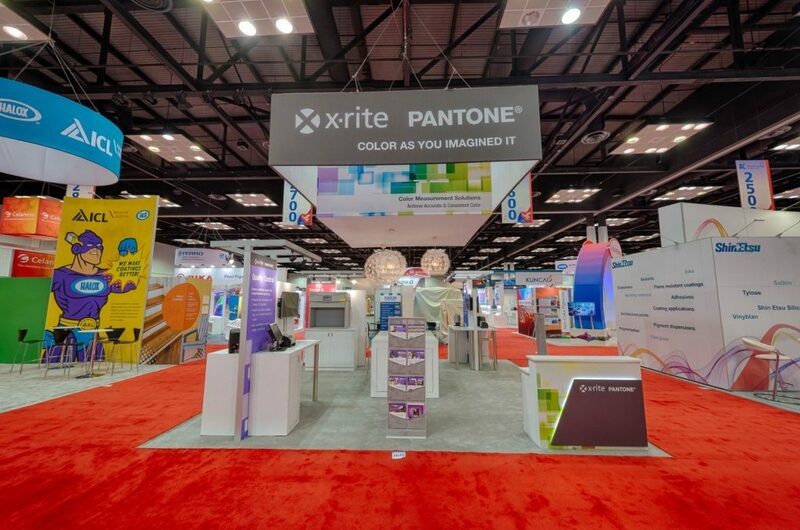 X-Rite is the global leader in color trends, science and technology. 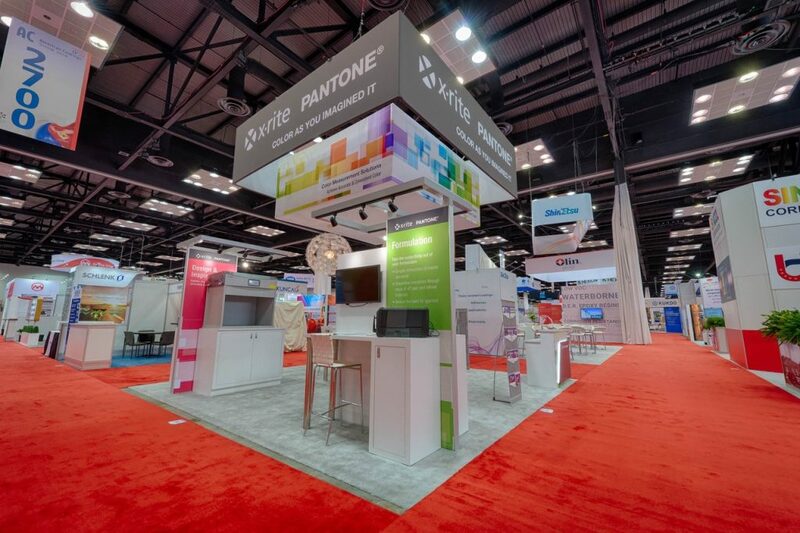 With insights from PANTONE®, another company brand, their knowledge serves a range of industries including consumer products, packaging, apparel, footwear, electronics, cosmetics, home furnishings, paint, food and beverage, and construction. They deliver an integrated set of products and services that help customers get color right. This 20’ x 20’ exhibit from the American Coatings Show tells the story.